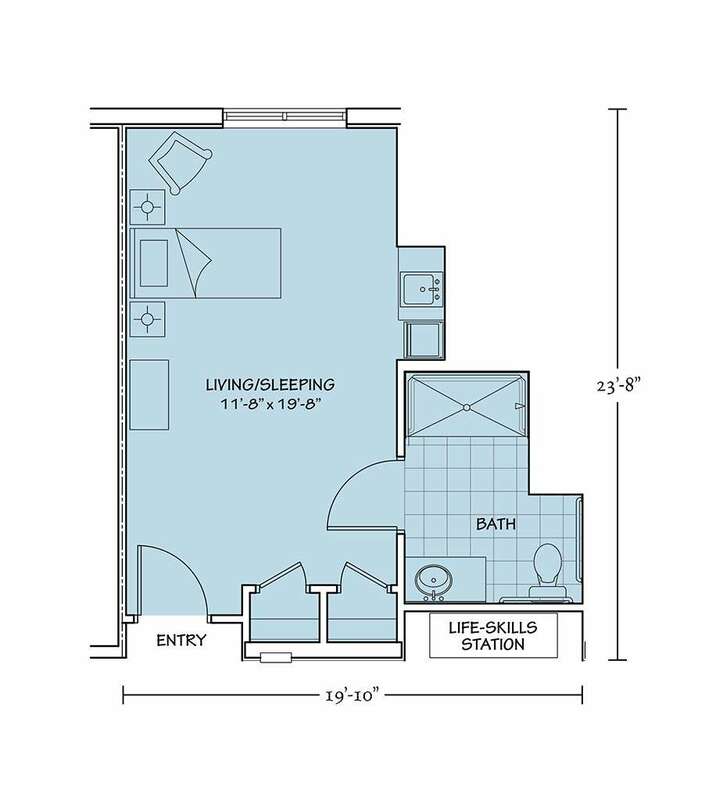 Our Osceola Suite boasts 372 square feet of comfortable living space that is just the right size! It comes complete with a kitchenette, combined living and sleeping area, large bathroom with safety features like a walk-in bathtub and handrails, and a foyer with plenty of closet space. 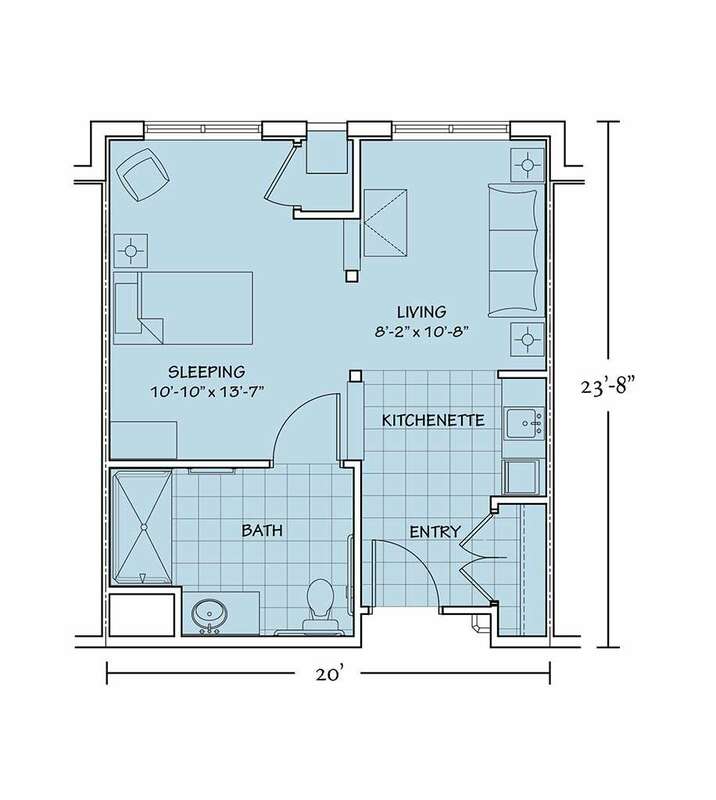 There’s ample amount of room in this 465 square foot suite, complete with its own kitchenette, large bedroom with plenty of closet space, cozy living area, and bathroom with walk-in tub and handrails. This spacious suite is perfect for spending time with family and friends or spending a quiet evening at home. With 483 square feet of living space, the Hemmingway is assisted living at its finest. 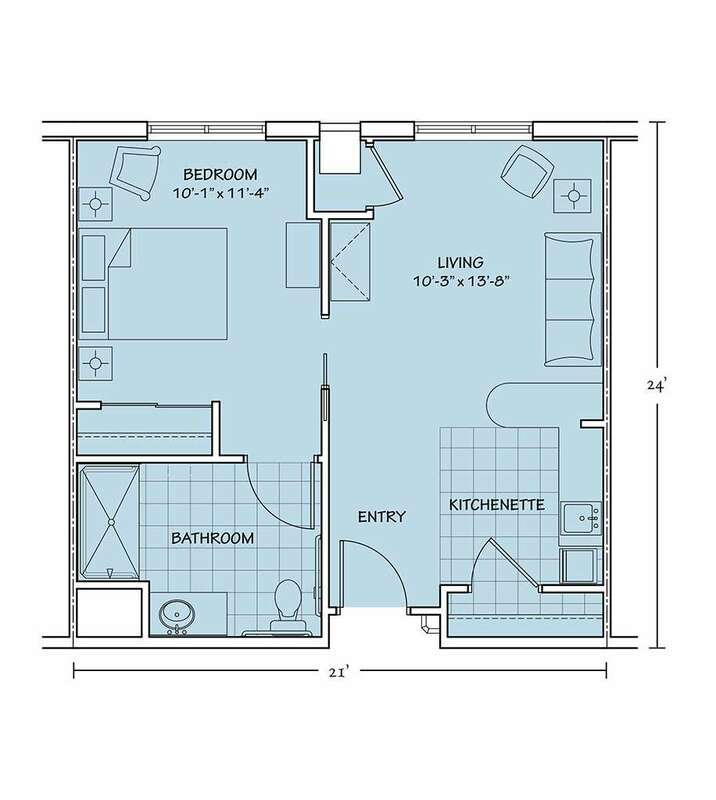 This one bedroom suite provides plenty of room and comes complete with its own kitchenette, living area, large bedroom with ample closet space, and a bathroom with walk-in bathtub and handrails. 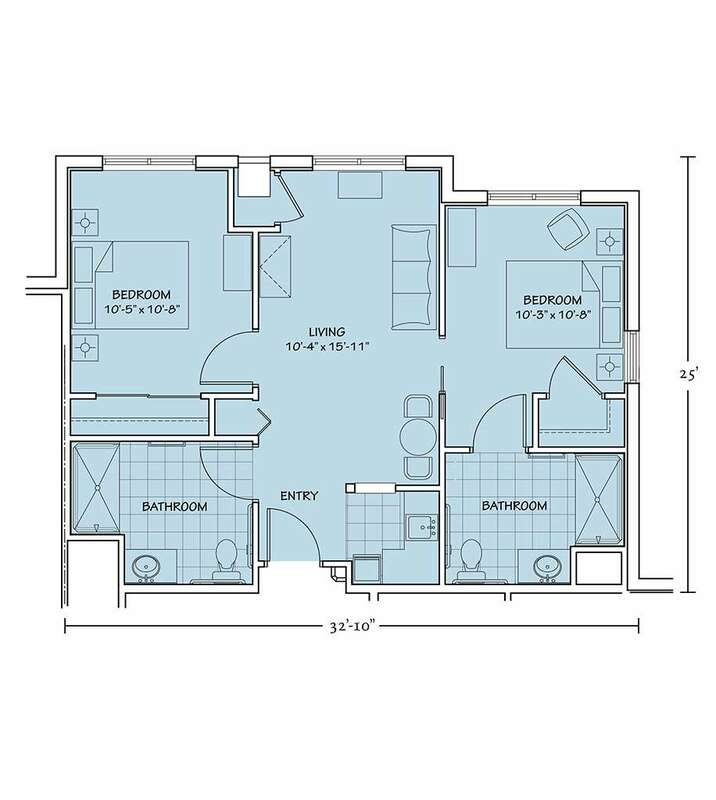 Named after the founder of South Florida luxury living, Henry Flagler, the Flagler Suite is our deluxe one bedroom suite with 504 square feet of premium living space. 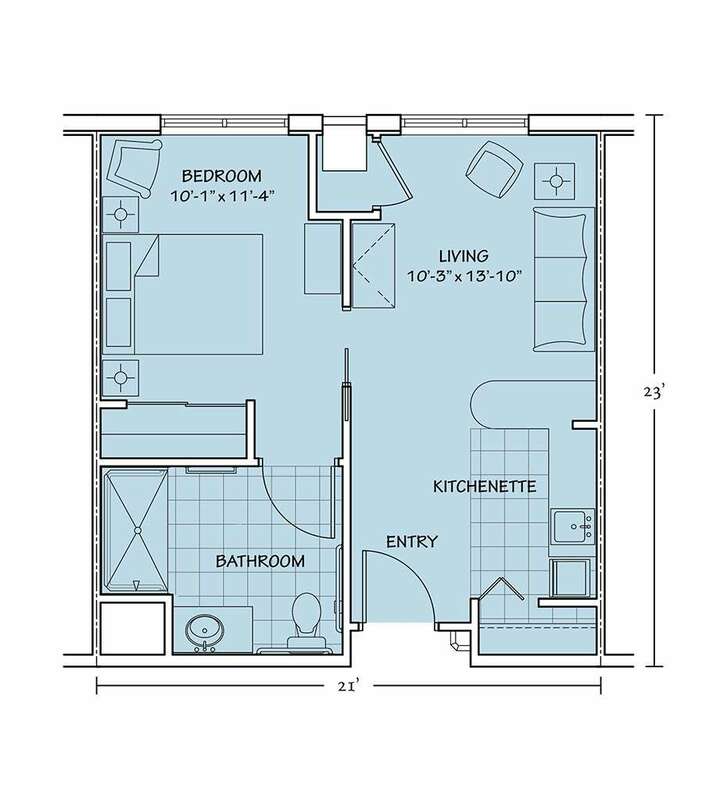 It has a roomy kitchenette, large bedroom with plenty of closet space, large living area, and a bathroom with walk-in bathtub and handrails. This suite has all the amenities and spaciousness of home. If you’re searching for a room for two, look no further than our Ponce De Leon Suite. 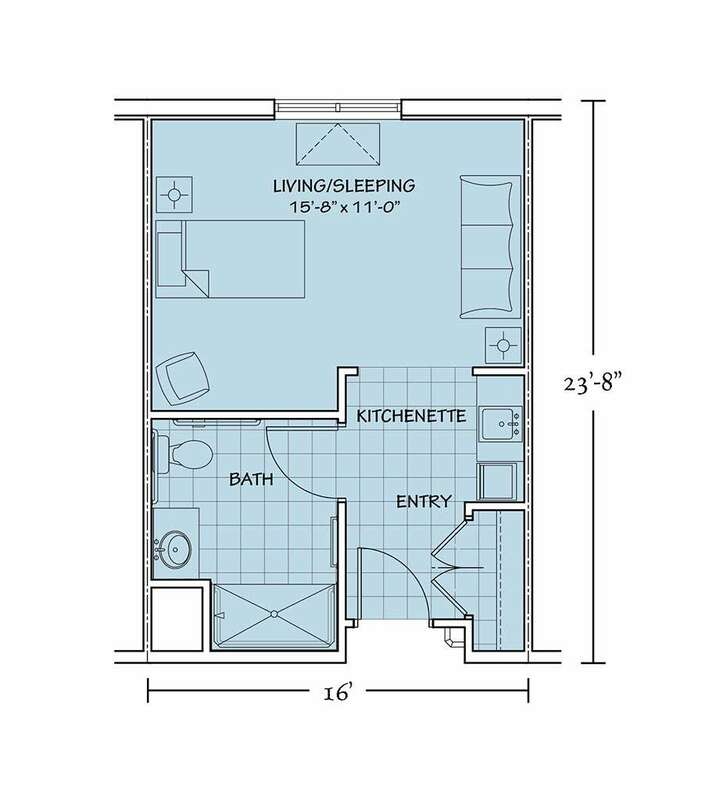 This premiere two bedroom suite boasts 805 square feet of living space and comes with a shared kitchenette, dining, and living area, as well as two private bathrooms, complete with walk-in bathtub and handrails. Our Memory Care residents enjoy 365 square feet of safe, comfortable living space in our St. Augustine Suite. There is plenty of closet space, as well as a combined living and sleeping area, large bathroom with walk-in tub and handrails, and a Life Skills Station located right outside the entryway.